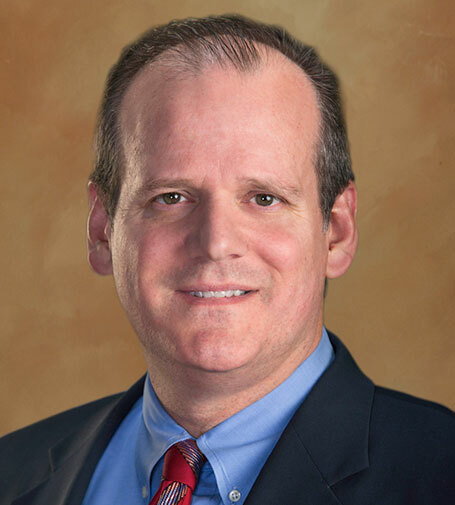 James H. Randall is a partner of the Firm and an AV-rated attorney by Martindale-Hubbell®. James practices primarily in the areas of insurance defense, construction law, appellate litigation, personal injury, family law, products liability, medical malpractice, and healthcare professionals advocacy. He received his B.S. degree in Finance from Arizona State University in 1989 and his Juris Doctorate degree from the University of the Pacific, McGeorge School of Law in 1992. During law school, James was selected as an editor for Owens California Forms and Procedure, a six volume treatise on civil procedure. He was also selected for the Dean’s List. After law school, James served as a judicial law clerk for Justice Thomas L. Steffen, Nevada Supreme Court, 1992-93. Thereafter, he joined a large Nevada law firm and practiced in that firm’s Litigation Department. He is admitted to practice in both the state and federal courts of Nevada. Mr. Randall has extensive litigation experience in state court and before arbitrators. A defense award in the client’s favor in a chiropractic malpractice case in Leavitt adv. Olivero, Case No. A326653 (Dept. 1, Las Vegas, Nev. 1995). A defense award in the client’s favor in Lopez adv. Vonneuman, Case No. A347060 (Dept. 4, Las Vegas, Nev. 1996). Successfully limiting client’s damages in Gonzales v. Manfriedi Limelight Restaurant, Case No. 351514 (Dept. 15, Las Vegas, Nev. 1997). Successfully limited client’s damages in Erskine and U-Haul Company of Texas adv. Hack Case No. A362477 (Dept. 2, Las Vegas, Nev. 1997). Successfully limited client’s damages in Timbers v. U-Haul Case No. A350097 (Las Vegas, Nev. 1997). Containing client’s damages in jury trial in Hirschi Masonry, Inc., Darrel Trowbridge adv. Schilling, Case No. 373376 (Dept. 19, Las Vegas, Nev. 1999). An assault and battery claim against Ace Cab which resulted in a one-week jury trial with the jury awarding less than 10% of the pretrial demand in Lemlem v. Ace Cab, (Dept. 11 Las Vegas, Nev. 2000). A 4-month jury trial in a multi-million dollar action representing a masonry subcontractor and limiting exposure to 10% of the pretrial demand in The Falls Home Owners Association v. Capital Pacific Homes, Case No. A4010326 (Dept. 11, Las Vegas Nev. 2001). A jury trial in a multi-million dollar action involving construction defects where the client – a developer of a large multi-family complex – favorably settled the case after four weeks of trial in KCN Partnership adv. Opulence Homeowners Association, Case No. A408661 (Dept. 13, Las Vegas, Nev. 2001). Mr. Randall is regularly consulted for his experience in appellate litigation in various matters, and argued before the Nevada Supreme Court in an action involving real property distribution in Belnap v. White, (Las Vegas, Nev. 1996).